FREMANTLE'S AFL Women's team will host the historic first football match at the new Perth Stadium next year. 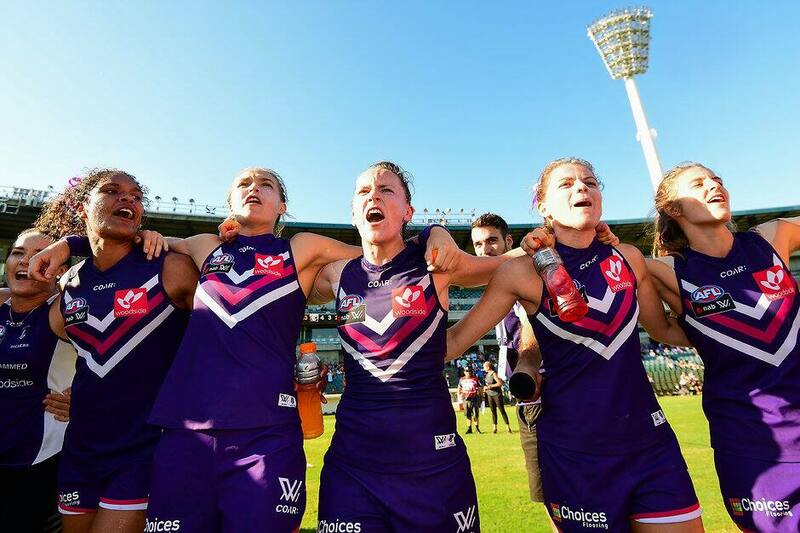 While the AFLW fixture is set to be released next month, the AFL has confirmed the Dockers will be playing at Perth Stadium on Saturday, February 10. Fremantle CEO Steve Rosich said the stadium's construction was well on track for the match. "We're really looking forward to getting here for the AFL season proper in 2018. With today's announcement, playing the first football game at the new Perth Stadium, an AFLW game featuring our Fremantle Dockers team, it is a pleasure," Rosich said. The AFL's general manager of clubs and broadcasting Travis Auld said both the men's and women's fixtures were yet to be finalised, but the Perth Stadium's debut would come in the second week of the women's competition, and could be Fremantle's first home game. "We're in the process of bringing the fixture together for the women and the men at the end of October," Auld said. "We'll have each of the seven other teams putting their hand up to be part of this experience, so I imagine, certainly the players of those teams and the clubs themselves will lobby to be part of this special day." Auld also didn't rule out the possibility of a Fremantle-West Coast derby in round one of the AFL men's competition at Perth Stadium, but said there was an appeal in having a separate debut home match for each club. Fremantle’s AFLW team had four home games last season. Two were at Fremantle Oval, one at Rushton Park in Mandurah (90 minutes south of Perth) and the fourth was a double-header with a men's JLT Community Series pre-season match at Domain Stadium. The match at Perth Stadium will also be the first AFLW clash to be ticketed, in order to allow attendees to access free public transport to and from the match. Tickets will be $2, with the sum collected going to charity. With a stadium capacity of 60,000, Fremantle is hoping to attract a crowd of 30,000 to the first AFLW match, which would break the previous record for AFLW of 24,500.